I’m ridiculously late with this post…!!! 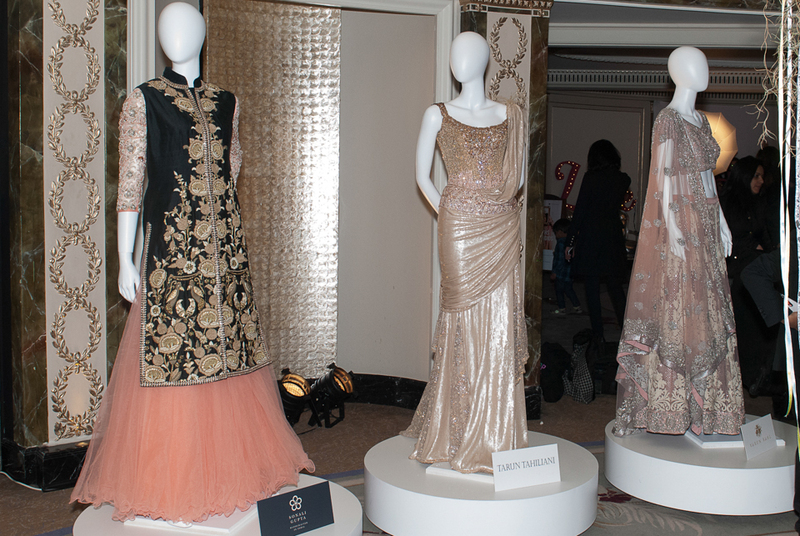 Last month the Grand Ballroom of London’s luxury hotel, the Dorchester played host to the first ever Aashni & Co Wedding Show with the crème de la crème of Indian designers and new gen talent. 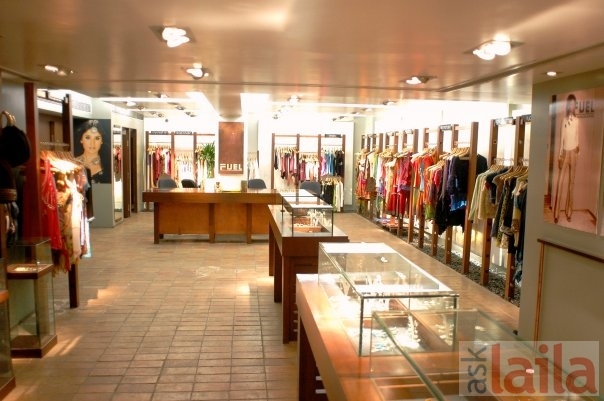 Aashni & Co’s Notting Hill boutique opened in 2012 and is already the leading store in London for luxe Indian designer wear. 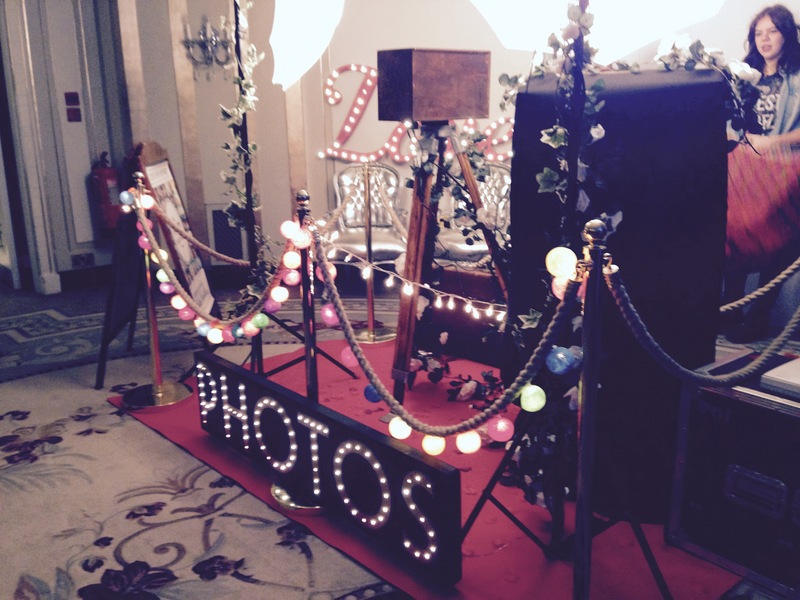 The wedding show provided an opportunity to showcase the store’s designers on a larger scale and to a larger audience. I was lucky enough to join Aashni the store’s owner on BBC 94.9- Jo Good show that week to talk about Indian weddings and the wedding show. It was the first time I’ve been on the radio and the fifteen odd minutes we were on air seemed to fly by. It was a great experience and a big thanks to Jo, Nishy and Gurpreet @ the BBC for making the experience enjoyable. 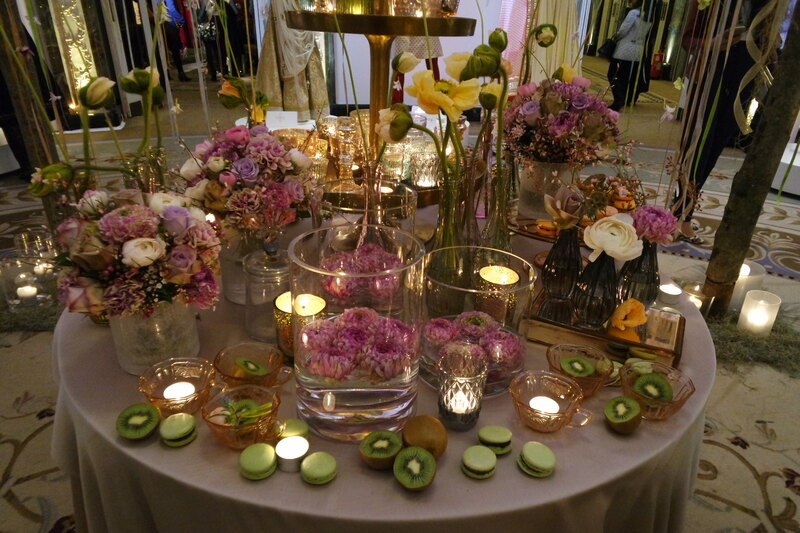 Ok back to the wedding show…. The line up at the show was pretty damn impressive with A-list design talent including Sabyasachi, Manish Malhotra, Tarun Tahliani, Anamika Khanna, Varun Bahl and talented new gen designers Sonali Gupta, Shehlaa and Arpita Mehta. 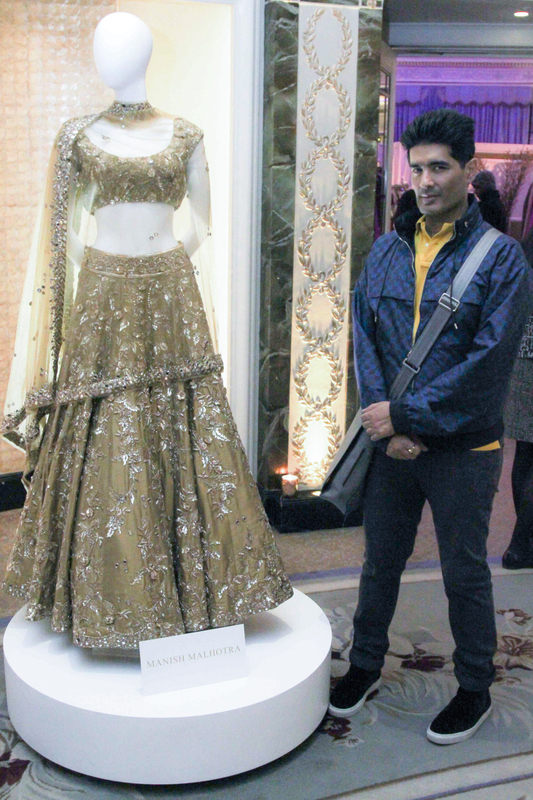 I got married last year and the exhibition was a perfect opportunity to connect (translate to get star struck) with some of the designers who I wore for my wedding which included Manish Malhotra, Sabyasachi, Varun Bahl and Arpita Mehta. You already have a connection with London. How does the U.K bride differ to the brides back home? I also asked him what tips he would give a bride when shopping for her trousseau. I love his answer because it’s so true wedding shopping can become stressful with everyone having an opinion on what you should and should not wear! 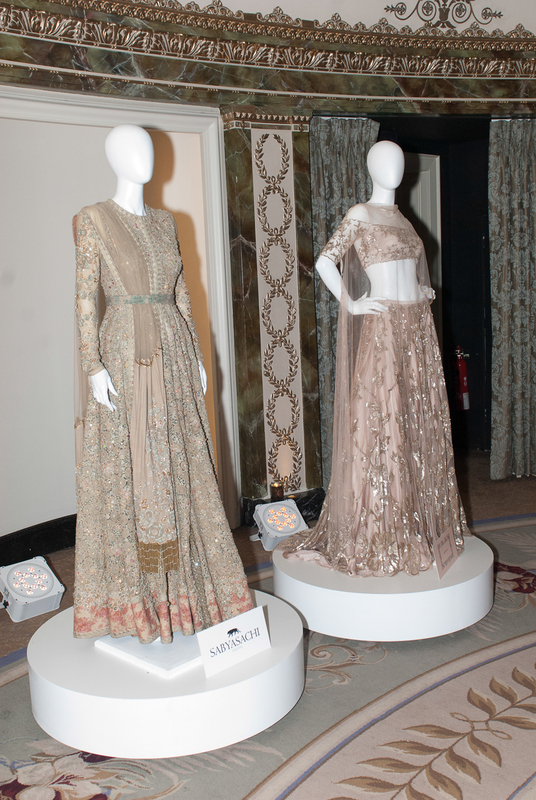 The event was a first for London and it was lovely to see such a wealth of Indian craftsmanship and talent in one place. With U.K brides following the trends in India (albeit sometimes a little latter) weddings are becoming longer with more and more events to shop for. I really hope it becomes a regular event…are you reading Aashni? 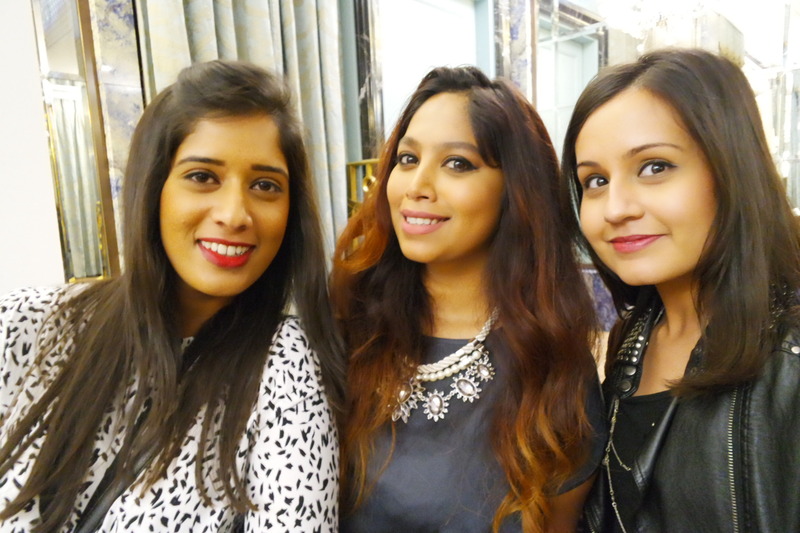 Fab post event video by Aashni & Co. I have interviews with Shehla Khan, Arpita Mehta and Anushree Reddy coming up on the blog in the following weeks- so keep a look out! In the words of slika slika Slim shaddy- Guess whose back! (I’m sure you’ve all been missing my random music links-lol!) It’s been a long few weeks since my last post-well Nov to be exact. I was too busy getting MARRIED!!! !- still can’t believe its all over now. I will be bringing you some details of my wedding in coming posts but got to kick things off with a post that’s been in my drafts folder for TOO long. We didn’t really have any prior experience of shopping in Mumbai but writing the blog has helped me discover all these exciting designers whose stores went on our list and we also asked everyone possible for tips so we went with a pretty good list which grew with recommendations from people there. 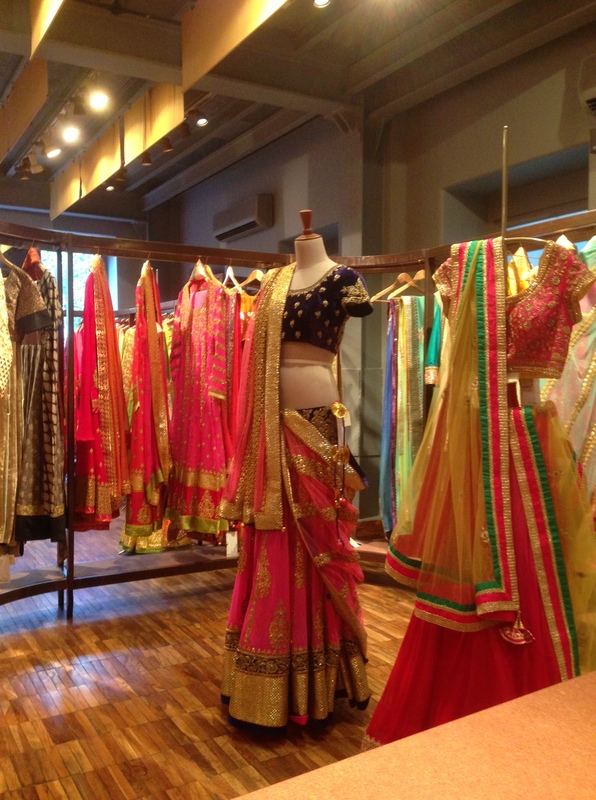 I can’t say it’s a comprehensive list but it’s a good starting point for NRI Brides to be doing their wedding shopping. I say NRI Brides because the majority of outfits we bought- we had adjusted or had the blouses made and brought them back with us as we weren’t keen on having everything made and sent over. Although, we did order some made to measure pieces from Manish Malhotra and Rohit Verma which I’ll post a review on in a separate post. Aza is a multi-designer brand store and the collections vary from stores so we visited both. 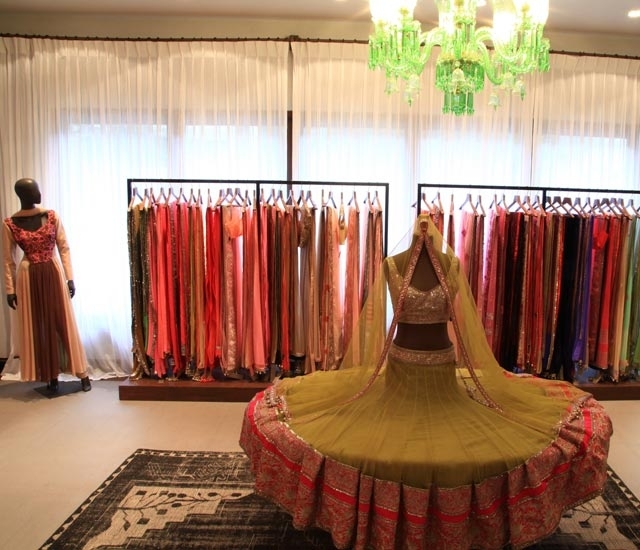 We had more luck at the Altamount store- I found an Arpita Mehta lengha for my Mehndi night and a Varun Bahl gown for my reception and my Mum bought a gorgeous Ridhi Mehra outfit. I have to say though if you’re looking for styles that you want to buy there and then the size range is limited. I’d say the largest size is 12/14 although if you don’t mind ordering they will order a made to measure style for you. A big thanks to Harshika at the Altamount store she really looked after us and all the pieces were altered within four days. 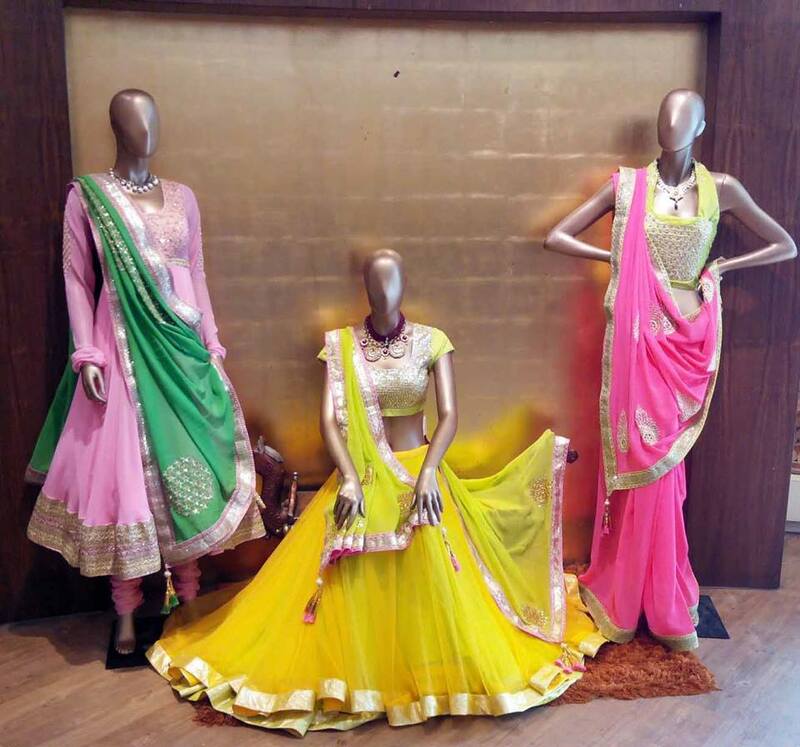 Ogaan is a multi-brand store and there’s a real mix of designers from pretty as a peach designer Anushree Reddy to more directional designers Pankaj & Nidhi and Anamika Khanna. Fuel is another multi brand designer store. There are three stores across Mumbai and the store in Opera House is the biggest- actually its huge and if you’re short of time this a def a must visit store. Fuel also carries a real mix of price points and styles as well as some really fab accessories. 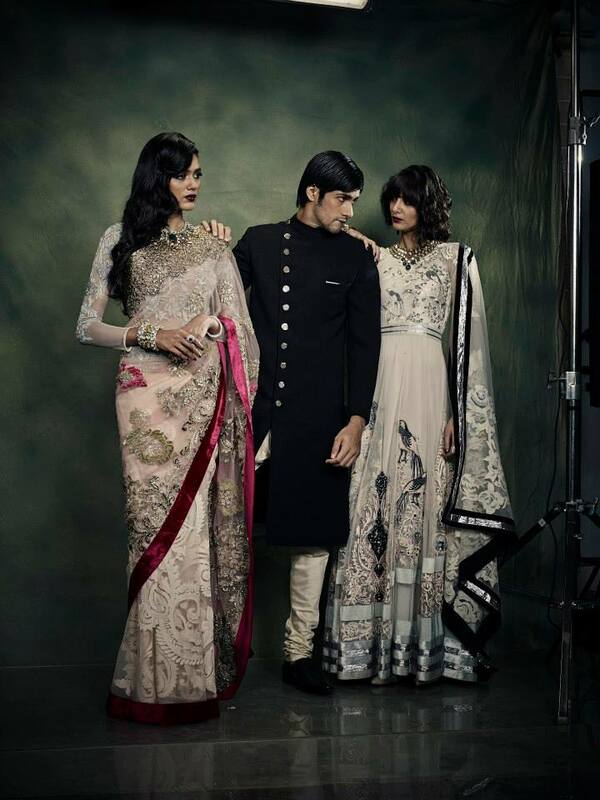 Labels stocked include Sabyasachi, Peppermint Diva, Rina Dhaka & Rohit & Rahul Ghandi. Ensemble is another multi designer store. Have to say this was the only store on the list that we experienced frosty service from the staff. I don’t know if it was a blip/bad day but we didn’t feel comfortable shopping and ended up buying Guarav Gupta pieces that we’d seen at Ensemble at alternative stores (because we didn’t even want to stay in the store long enough to try on the pieces!) I’ve still included the store on the list because they do carry a fab range of product and like I said it could have been a blip day. 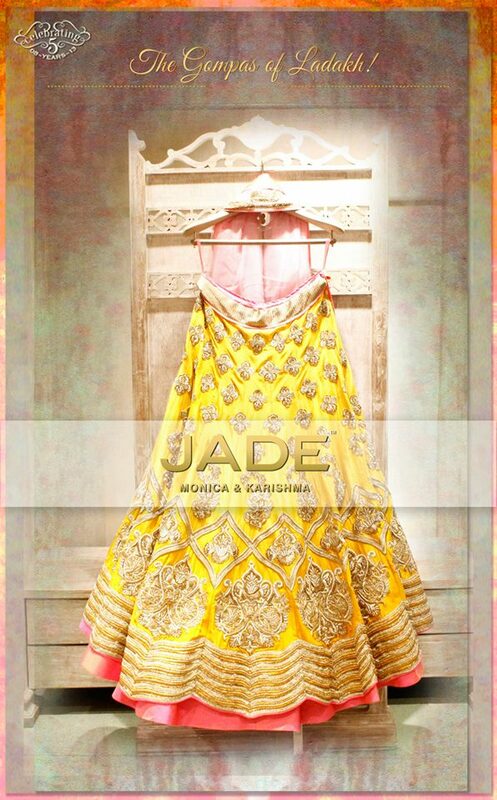 After drooling over Jade by Monica & Karishma over the Indian blogosphere it was soooo exciting to check out their store. I personally found the Bridal lengha range just too heavy for me but loved the heavy blouses that you could buy either on their own or mix and match with a sari or skirt. 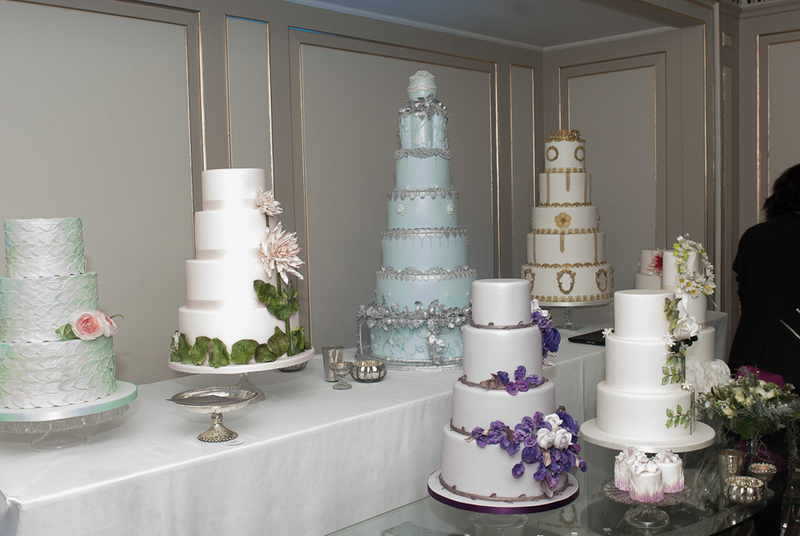 Really pretty and timeless designs. And I’m in LOVE with their Bohemian Princess collection that they recently showcased at Fashion Week! 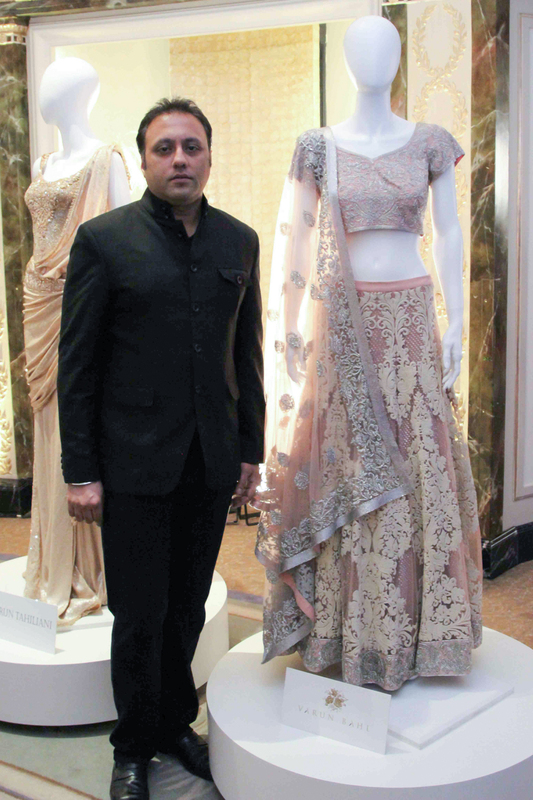 Regular readers know how much I heart Sabyasachi’s work. I adore the way he celebrates and reinvents the beauty of Indian embroidery and embellishment. As I’d already bought my Sabya bridal lengha from Aashni & co we were looking for saris and unfortunately the week we’d visited the stock was really low- as in there were only three saris in stock! so unfortunately we left empty handed but the store itself (the bridal showroom is on the ground floor and the lighter pieces were upstairs in a neighboring building) is a beauty. Its like stepping back in time and a gorgeous backdrop to his designs. Mumbai. Portfolio 52, 56, Dr. V.B. Gandhi Marg KalaGhoda. Mumbai- 400023. Ph: (022) 22623335. Mobile: 9322263359. Email:sabyasachi.mumbai@gmail.com. Ok so I’m not the biggest fan of the Peacock Pret by Falguni and Shande Peacock’s Indian wear (LOVE the western wear though) but I had to include their address on the list. It’s a store full of girlie colours, feathers and bling so if that’s your thing def take a look. The Varun Bahl store is in the same building as Sabyasachi’s and he shares the store with Karan Johar (uuummm I didn’t even know Karan Johar designed Sherwanis?!) I adore Varun’s gowns (I wore one of his designs at my reception) and my sis picked up a gorgeous mint sari with applique work and sequin blouse from the store. I have to add that the service at the store could do with being improved. My sis blouse piece and petticoat needed to be ordered in from Delhi and they assured us that it would be in store ready for collection three days later (which was our last day in Mumbai). We rang in the morning and they told us the parcel would def be there for 11am. So we turned up and it wasn’t there and there didn’t seem to be any real action in locating the parcel until we said we’d call our credit card company and block the charge. Then they started ringing round for it- we went off to lunch and a few other stores and when we returned the parcel had come in. I know you could say it was only a few hours late but if all the stores we’d shopped at had done the same we prob wouldn’t have been able to get everything in eight days like we did. Both the Manish Bridal store and the newer diffusion store opp were soooooooo busy with Brides to be and its pretty easy to see why- the stores are full of yumminess. He is a Bridal King for a reason! I bought a pretty Ivory lengha to wear for my Civil Ceremony (I didn’t want to wear an English style dress) and had to have the piece ordered- I was reluctant to place an order but being taller than the average the piece in the showroom couldn’t be adjusted to fit. I will post a review on the Store soon. I know the Hare by Rohit Verma collection was really popular at Bibi London but since Rohit stopped supplying the store the only place to get the real deal is in India. His showroom is in a real mess. Gowns, lenghas, saris and anarkalis are squashed together on rails that make it hard to browse BUT the man himself and his lovely sis know the collection inside out and instinctively know which styles suit who. Once they knew what occasions we were shopping for they pulled out some beauties and we bought several pieces. 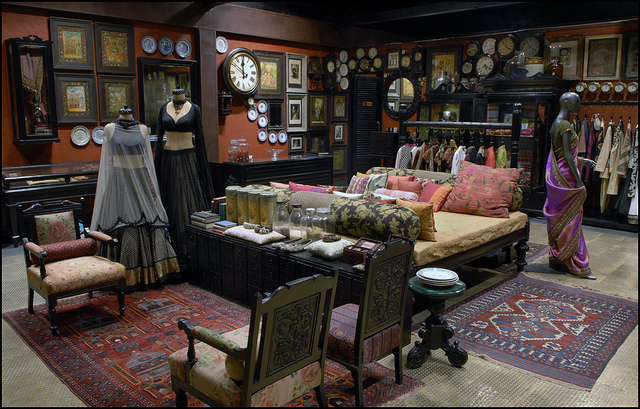 Ok so I’ve been in plenty of fabric and embellishment stores & markets in Delhi for work but I’ve never been to a store like Vandana before. If you want to design your own sari or anarkali this is the place to go. They carry hundreds of beautiful fabrics including silks, bhandanis, brocades and you go from one section to another picking out fabrics- we started off with some sari blouse fabric we liked then moved over to the chiffon section to match a sari then went downstairs to match sari borders and latkans! We ended up buying all my peach bridesmaid saris from here. We only discovered the store on our penultimate day otherwise I know we would have have bought way more! And all the staff are fantastic so even if you don’t think you are much of a designer they will help you match fabrics together. All the shops are spread across Mumbai and I’d recommend asking your concierge (we stayed at the Grand Hyatt– will post a review soon) or driver to group stores together so you don’t waste time. And yep I know there’s plenty of amazing stores that haven’t made the list- like I said these are the stores we went to-I’m sure I’ll be adding to the list. A couple of months ago I received an email from the uber talented Sita from Vogue India.Com (the AMAZING revamped website is down to her!!!) She’d read and liked my post ‘Retarded Velvet: Diary of a collection S/s 12’ and invited me to pitch any ideas/stories for the website. Ok, so my first reaction was OMG my blog was just read by VOGUE INDIA!!!!! And then it turned to OMG what am I going to pitch???!!!! 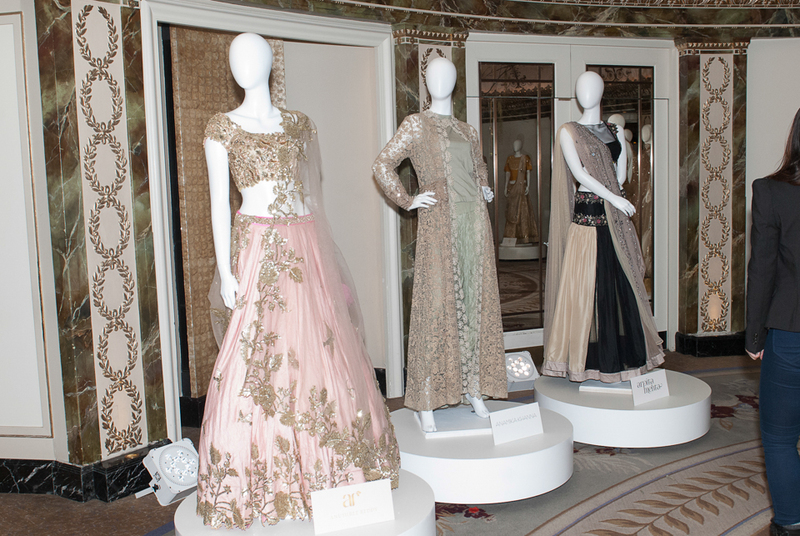 Well here’s how I got on- my first two articles went live this week!- a write up of the Valentino exhibition and an interview with Aashni & Co.
London’s Notting Hill just got a big injection of desi love in the form of fashion boutique Aashni & Co. Owner Aashni Shah is doing her bit to revamp the concept of Indian fashion in the global fashion capital by filling her store with eclectic labels such as Bodice by Ruchika Sachdev, Surendri by Yogesh Chaudhary and Pankaj & Nidhi. 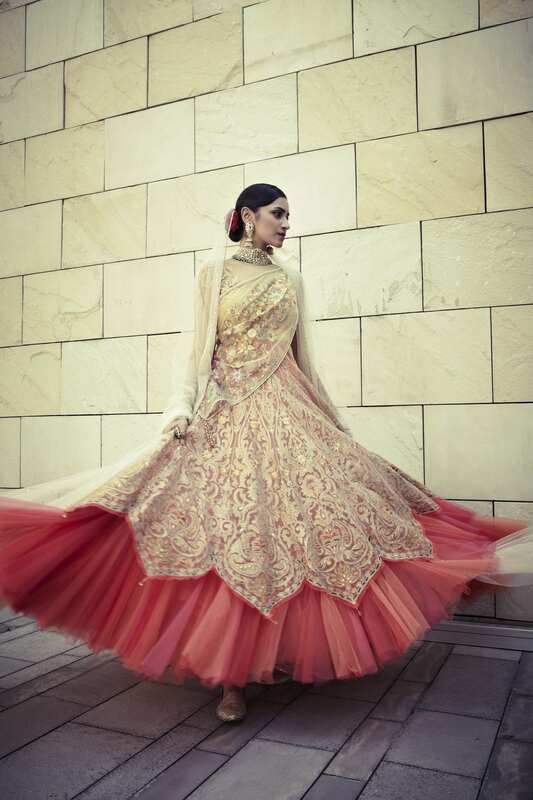 Along with these labels that are making their debut in the English capital, the boutique hasn’t missed out on the classics: lehengas, anarkalis and saris from Rohit Bal, Sabyasachi & Manish Malhotra. In conversation with The Asian Fashion Journal, Shah talks about her love for Indian fashion and why she’s convinced its time to go international has come. Aashni Shah next to a mannequin dressed in Bodice by Ruchika Sachdev. 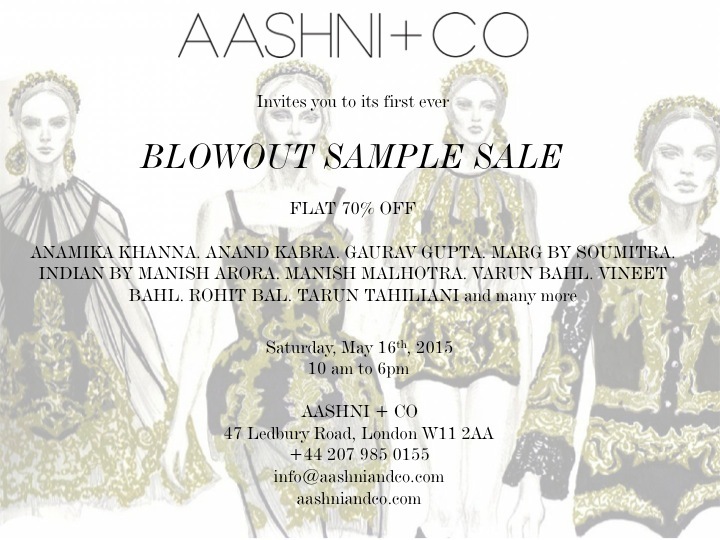 What’s the story behind Aashni & Co? International designers have been travelling to India for inspiration for years, but Indian fashion has never been celebrated in the same way as collections from France, or Italy, or Japan. 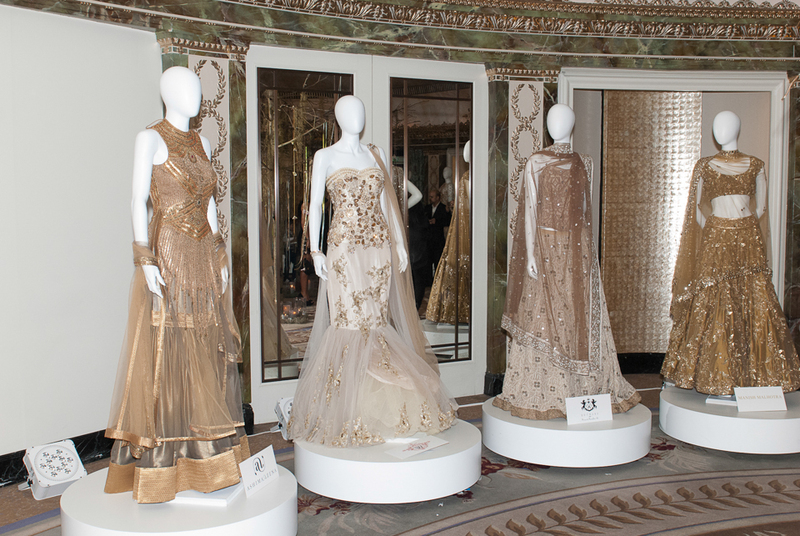 It’s time for Indian designers to take centre-stage, and have a platform in London to showcase their talent. 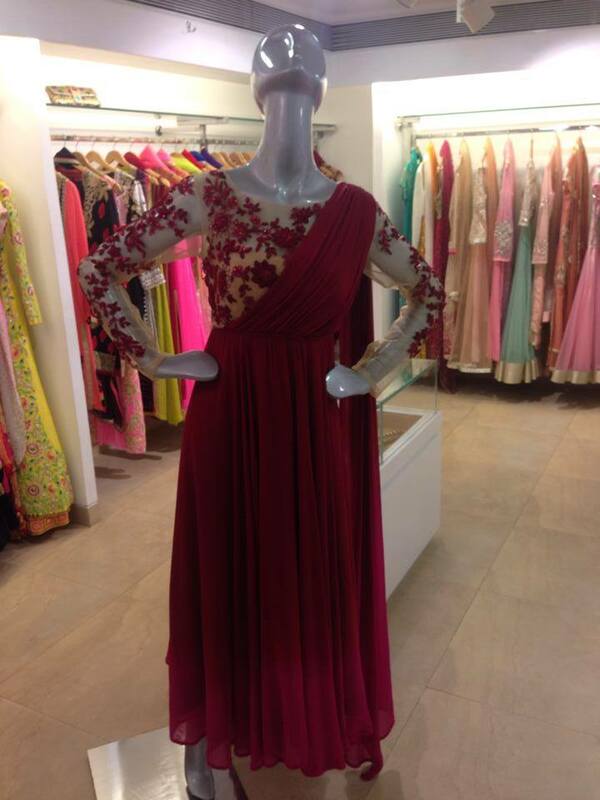 Our boutique is a selection of the finest that India has to offer while making it more convenient for people here. We plan to start our online portal in two months. Who is the Aashni & Co customer and how are they responding to the labels stocked? Our Indian customers are delighted that their favourite brands are now accessible in the UK. We’re visited by international tourists and British customers who’re astounded by the talent that’s remained hidden from their knowledge and wardrobes. And, since we’re enthusiastic about colour, something many British brands shy away from, vibrant pieces made from luxurious fabrics have struck a chord with all our customers. A bright Nida Mahmood jacket. This gorgeous embroidered Pankaj & Nidhi jacket is center-piece worthy. There’re so many exciting Indian labels out there, how did you decide which designers to stock? India is thriving with design talent and the variety of choice makes it almost impossible to choose from. But I was determined for the store to have a clear story that still managed to cater to a wide demographic. I wanted to create a balance between well- established Indian labels, experimental collections and new talent. My vision is to incorporate a selection that is accessible to both Asian and non-Asian clients. We currently stock Rohit Bal, Sabyasachi, Gaurav Gupta, Shivan & Narresh, Nida Mahmood, Pankaj and Nidhi, Gauri & Nainika, Bodice by Ruchika Sachdeva and Surendri by Yogesh Choudhary. 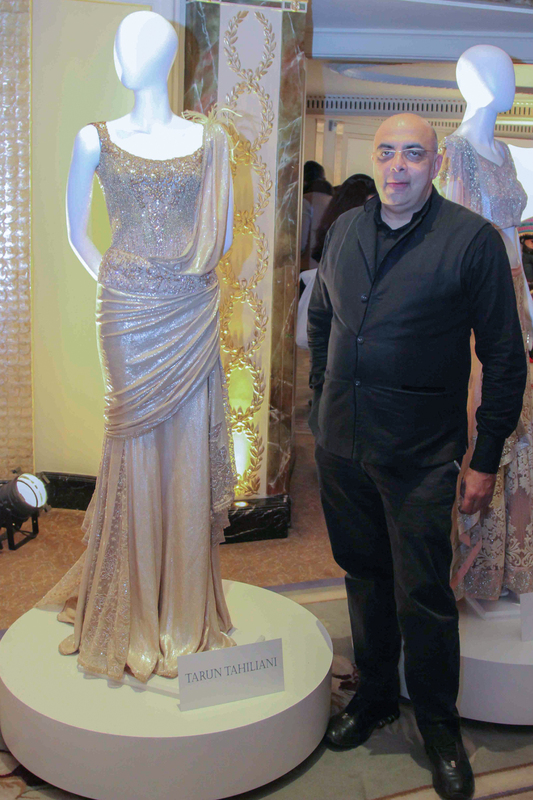 This month, we’ve added Manish Malhotra, Varun Bahl and Amit Aggarwal. 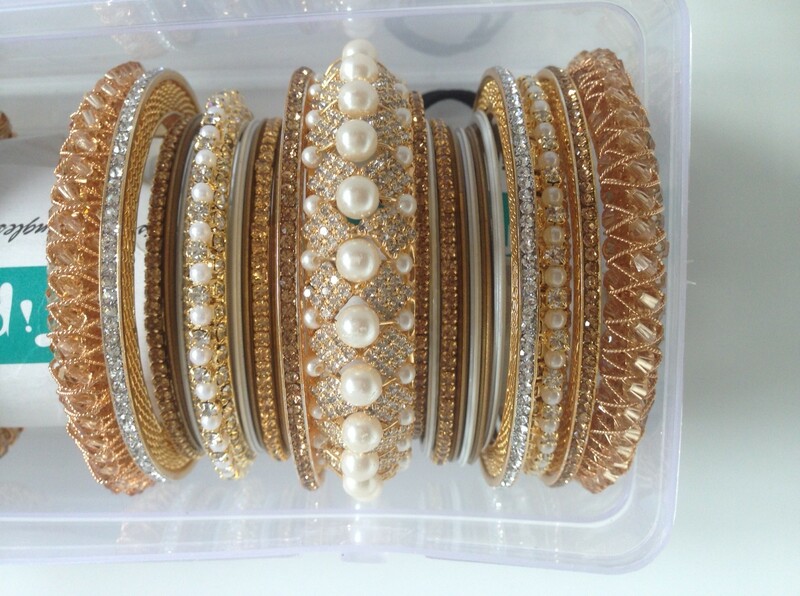 Eina Ahluwalia jewellery ethnic jewellery. Indian accessories in eye-catching reds, blues and golds. Modern Indian fashion in all its graphic glory.